Deep River County Park is just one of the many picturesque backdrops for Hobart, Indiana wedding photos. 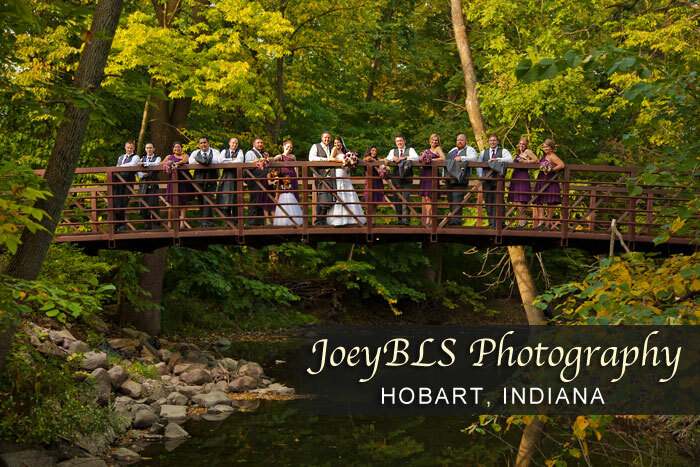 If you are looking for a Hobart, Indiana wedding photographer to capture the moments of your special day, consider JoeyBLS Photography for your Hobart wedding photos. We specialize in taking vibrant, sharp, professional photos and we are familiar with Northwest Indiana and the outdoor wedding photo locations in the area. Click on the button below to view our wedding photo samples. After you view our samples, check out our Hobart, Indiana wedding photo packages and prices and see which wedding photo package best fits your special day!